Interior decorator Sharon Kibbee de Lobo says that for years she had to endure leaks from a terrace above her 16th floor West 79th Street apartment. She alleges in a $5 million lawsuit that the reason her landlord ignored her request for repairs is because she is not Jewish. De Lobo says the leaks left holes in her ceiling, damaged kitchen cabinets, rotted wood moldings and beams, ruined silk wallpaper and led to a carpet-beetle infestation. Still, for more than a decade, nothing was done. 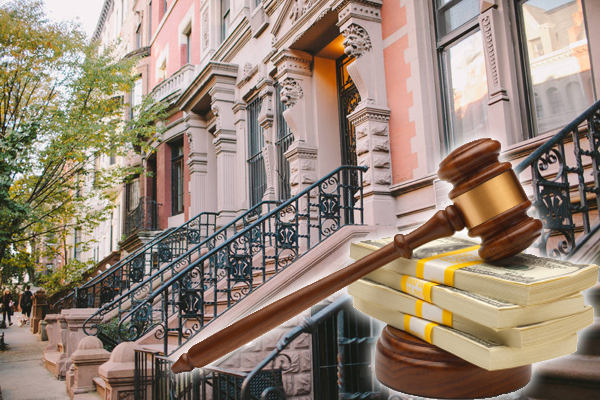 The reason: her complaints “were of no import to management because she lived in a ‘Jewish building’ and she had no rights as a non-Jewish tenant,” a property manager allegedly told her, according to the lawsuit cited by the New York Post. Management allegedly refused to install a dishwasher and stove, but charged de Lobo anyway for the appliances. When she inquired with the appliance company, she was told they had worked with other tenants in the building to install such appliances.